Composite doors are another option of door and currently they are the most effective to invest in. Although a valuable asset to have, these types of doors come with a hefty price attached to them. Despite the price tag however, they are worth the commitment. By having a composite door installed in your home you can guarantee to see your energy bills decline dramatically, your home will also be kept much warmer. If you’re looking for improved security, composite doors are your best option; such a model offers reinforced properties, which remain intact for years on end. Composite doors have been engineered to withstand the harshest of weather conditions and do not suffer under constant wear and tear which other materials are prone to. Composite doors keep their appearance and strength maintained for years, making them a worthwhile, log-term investment to consider. Aesthetically composite doors offer the best beauty; they come in a range of different colours and patterns, providing a great deal of choice to customers. So, if you’re looking for cheap options then PVCu or aluminium doors would be your safest bet, however if security and durability with retained aesthetics is what you’re after, composite doors are the way forward. Your home is one of the biggest investments you ever make, which is why we want to make sure you choose the right door for you. Contact Elite Windows if you would like further information on the types of doors mentioned in this blog. When buying a door there can be many complications as to what the best option is, however there is a door to suit everybody’s requirements. 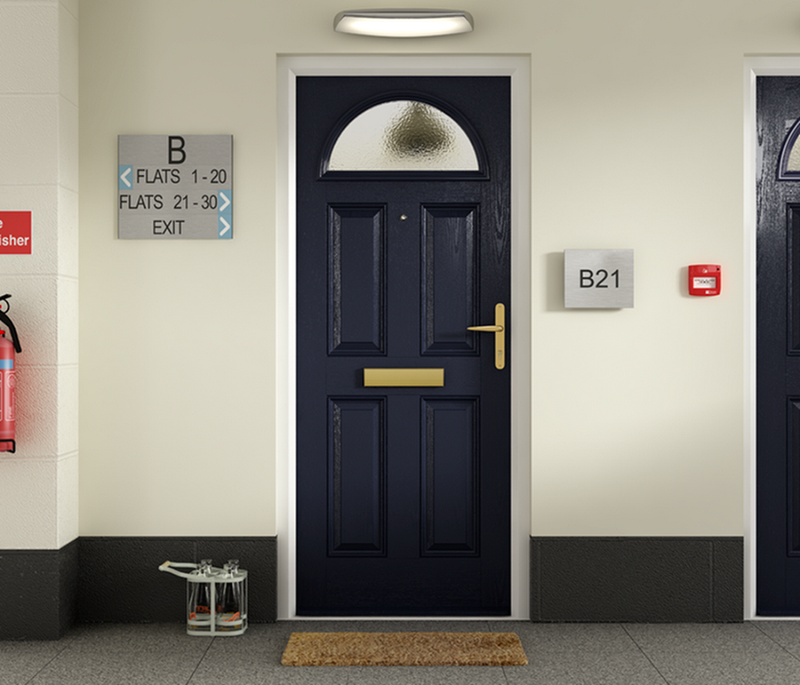 Whether you’re looking for energy efficiency, security, aesthetics or all in 1 – you can guarantee to find the perfect door and this blog can help guide you towards it. This blog will give you a deeper insight into the benefits and disadvantages of PVCu, aluminium and composite doors and you can outweigh the factors to help you decide what is best for you. Investing in a new door is a worthwhile project to consider, this is because most homes are built with standard wooden or PVCu doors, which do not have the reinforced, or energy efficient properties you need. PVCu doors from Elite Windows however have been newly manufactured to provide the best security and energy conservation. With PVCu being presently engineered to preserve heat and exclude draughts, these doors are the cheapest alternative to invest in. Cheap yet beneficial, if you’re looking for a basic, standardised door, which provides great functionality with keeping your temperatures maintained, then you have found the best option for you. PVCu is a popular choice of door and many homeowners choose this option above all others – mostly due to it’s affordable price tag. However, although benefitting in certain ways, PVCu doors do not have a durable structure and will loose colour and shape pretty easily – especially if exposed to constant wear and tear or harsh weather. If you want a door that stands at a low price yet offers standard security and aesthetics, a PVCu door would be a match made for you. 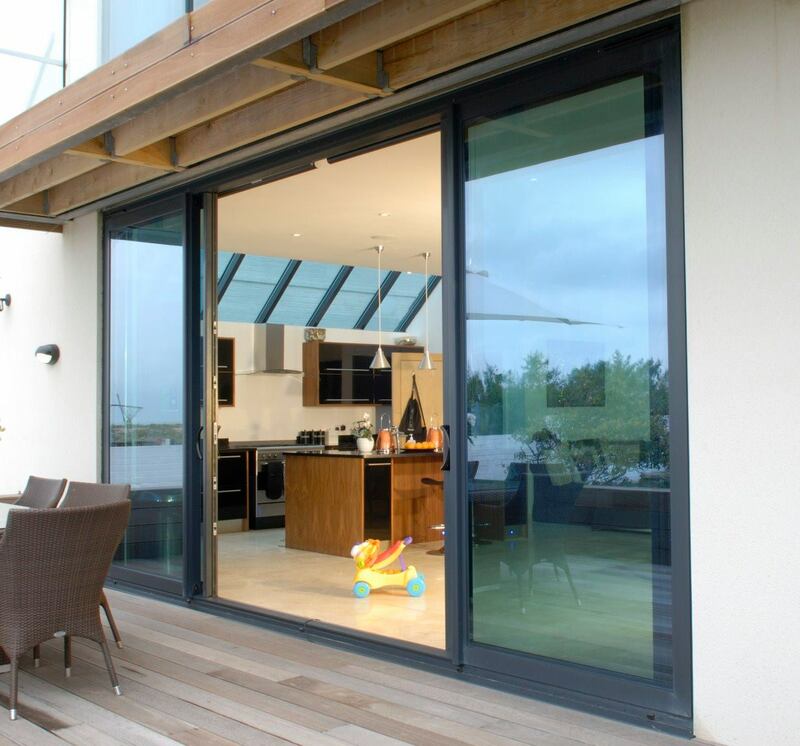 Next to discuss are the attributes that come with aluminium doors, these doors are not as commonly seen or chosen, however they have many potential benefits. Aluminium options are cheap door alternatives and are available in a range of colours and styles to allow people to find something to complement their home. Aluminium has sturdy properties and last for long-term periods, however when exposed to harsh weather and constant usage everyday – you can expect the aluminium to begin deteriorating in quality. Aluminium is prone to corroding and weathering plays a big part in speeding up this process. Such a material only offers standard security, it has no reinforced properties so is not the best option for enhanced safety of your home. However, if you are looking for a basic door option, aluminium is the most suitable especially due to its low price tag and adequate functionalities. In terms of aesthetics, aluminium door are available in an array of finishes and you can be guaranteed to find the perfect model to complement your home’s appearance, but as mentioned previously such doors only retain standard benefits and they excel only in terms of price.